Using an Android device to connect to the web is extremely convenient and satisfying. The whole Internet is literally at your fingertips anywhere you are in the world – and it’s all topped with a user-friendly interface. The only way to improve all that is to also hide your IP address while using an Android device. Why? Well, in this article we’re going to show you exactly why you need to do that, and also how to hide your IP address on Android devices too. An IP address is a number that’s assigned to an Internet-connected device. It’s main goal is to identify a specific device on the web or a local network. IP stands for Internet Protocol, which is a set of rules that govern how information is transmitted and received over the Internet. Did you ever try to access a particular website or watch an online video only to be quickly greeted by a message letting you know that the content isn’t available in your country? Well, that’s a geo-block (also called a geo-restriction) in action. It’s technology used by content providers to make sure their platforms are only accessed by people from specific countries. A good example of that is you trying to watch a Netflix US show on your Android device when you’re in Hungary. You won’t be able to do it, and you’ll just be redirected to the Hungarian Netflix library instead. And yes, that can even happen if you’re a US citizen who has a Netflix subscription but is traveling or working abroad. And all that is possible because the platform you try to access can see your real IP address, which actually contains information that can reveal your geographical location. So, the website has a very easy time knowing whether or not it should approve or reject/redirect your connection requests. If your IP address is hidden, though, that’s no longer a problem, and you get instant access to any content you want. Not many people realize this, but an IP address can tell a lot about someone. For example, your real IP address can actually tell anyone what country and city you are from. But that’s not all. Some crafty cybercriminals might even be able to use your IP address to find out what your ZIP or postal code is, and who your ISP is. What’s more, if all that information is further paired up with other bits of data related to you (such as a username you use on an online platform, or the address range that’s identified by a subnet), a hacker might even manage to find out what your real identity is. Sounds pretty creepy, right? Well, here’s the scariest part – if that sensitive information ends up in the hands of cybercriminals, it could easily end up being auctioned off on the dark web or used in identity theft scams. But keep your real IP address a secret, and none of those scary possibilities are something to worry about anymore. First of all, depending on the country you live in, your ISP could potentially share your torrenting activities with copyright agencies or the authorities. So, because your IP is visible, it’s very easy to get into legal trouble. Secondly, did you know that every member of a Swarm can actually see your real IP address? If you’re not sure what the “Swarm” is, it’s the total number of people downloading and uploading a torrent. Yes, that pretty much means that up to hundreds (if not thousands) of people can see your IP address when you download a torrent. Hiding your IP address on Android means being able to avoid those problems, and getting to enjoy full privacy when downloading torrents. We here at SmartyDNS don’t agree with or encourage illegal copyright infringement and online piracy. However, we do understand that many online users can only get access to the things they need (Internet entertainment, work files, school manuals) through torrenting. Whether you’re at work, school, or the airport, there’s always a chance that the network administrator has blocked access to certain websites. Whether that’s because they’re just following company/school policy or they want to avoid having problems with copyright regulations is hard to say. What is clear is that you end up having to deal with annoying firewall restrictions. In that situation, the IP address you’re provided with is tied to the firewall restrictions, so there’s not much you can do to circumvent them – other than finding a way to hide your IP address on your Android device, of course. If you do that, you’ll be able to watch your favorite videos or listen to your favorite music while you relax between courses or on your break. And while we’re on the topic, we should also mention that changing your IP address on Android would also help you bypass government censorship on the Internet (like the Great Firewall of China, for instance). Advertisers and marketers actually use your IP address to expose you to something called “hyper-targeted advertising.” Basically, it’s an easy way for them to bombard you with “specific” ads anywhere you are on the web. What’s more, advertisers can also use your IP address to track your online habits and find out various things about you. Why? So that they can craft a marketing profile to expose you to personalized ads. Also, you should know that the many websites you visit also log your IP address. Some of them might even share it with advertisers for a profit. But if your IP address is hidden, you won’t need to worry about your online privacy being exploited by advertisers and marketers. A VPN (Virtual Private Network) is an online service you can use to easily conceal your real IP address on Android – or any device for that matter. All you need to do is download and install a VPN client, and connect to a VPN server. Once you do that, your real IP address is replaced with the IP address of the VPN server. So, if you were to connect to a US-based VPN server, you’d have a US IP address which would allow you to access online content that’s only available in the US, for example. On top of that, a VPN also encrypts your online traffic to give you an extra layer of security and privacy. Essentially, nobody (not even your ISP) will be able to track your online activities anymore. Like a VPN, a proxy is also a service you can use to hide your IP address. Basically, a proxy is a server that acts a “middleman” between you and the Internet. You send connection requests to the proxy server, and it forwards them to the web on your behalf. Because of that, any website you access with a proxy will only see the IP address of the proxy server. One thing you might really like about proxies is the fact that they keep a local cache of web pages. If you are requesting one that is already in the proxy’s local cache, the server doesn’t need to forward your requests to the web since it can just automatically retrieve the cached content, resulting in faster speeds. However, you should know that most proxy services you find online aren’t extremely reliable because they tend to be overcrowded. As a result, you end up having to deal with slow connection speeds when the content you want isn’t locally cached. Luckily, VPN providers have started offering proxy services alongside VPN services, so you would get better speeds if you use a VPN server that also doubles as a proxy server. Also, we recommend avoiding free proxy server services. 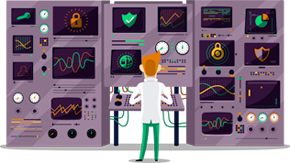 While the “free” aspect might be appealing, those services will often have overcrowded servers and will often use HTTP encryption. Why is that bad? Because HTTP isn’t secure, and allows the owner of the proxy to monitor what you do on the Internet, and also see your real IP address. While it’s true that you can use Tor (The Onion Router) as a way to hide your IP address and anonymize your online traffic, it’s not the most reliable option. Why? Because Tor has actually had problems with hiding IP addresses in the past. In fact, Tor even leaked user IP addresses at one point. While that problem was eventually fixed, there’s no guarantee that won’t happen again. Besides that, you should also know that, in order to secure your traffic, Tor bounces it through numerous relays (servers and computers run by volunteers). Well, the problem is that when your traffic passes through the last relay, it’s usually no longer encrypted. That means that whoever runs that relay can see your IP address (and more). All in all, Tor isn’t a very secure way to hide your IP address on Android devices. Plus, you get to enjoy speedy connections on our VPN servers that come equipped with unlimited bandwidth, and you’ll also be happy to know that we don’t log any of your data. Want to Use a Proxy Instead of a VPN? No Problem! Our speedy VPN servers double as proxy servers too. So, if you want, you can easily use them that way at no extra cost. And don’t worry – setting up the proxy is very easy. All you need to do is follow our step-by-step tutorials, and you’re good to go. 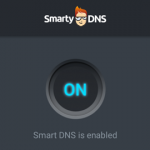 Register an account with SmartyDNS. Download and install our user-friendly clients, or manually set up a VPN connection on your devices. Connect to one of our high-speed servers, and enjoy complete Internet privacy. Want to test-drive our service before making a commitment? No problem – just sign up for our three-day trial that’s free of charge. No credit card details are needed, and you’ll have plenty of time to test our connections to make sure everything is in order. Besides that, we should also mention that we offer a 30-day money-back guarantee in case the service doesn’t work as advertised. Masking your IP address on Android is paramount if you want to make sure you enjoy a private, free online experience on your mobile device. Doing that keeps you safe from advertisers, lets you access geo-blocked content, helps you bypass firewalls, and also makes torrenting safe for you. But how do you do that? Well, it’s pretty simple – just use a VPN service or a proxy server. Both choices are good, but a VPN is better than a proxy since it offers better speeds and more privacy. Ideally, you should choose a VPN provider whose servers also double as proxy servers. 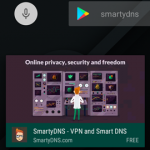 We updated the SmartyDNS Android App!